Artificial intelligence researcher Justine Cassell will give the fall 2018 Henry and Bryna David lecture on the topic, “Will Artificial Intelligence Mean the End of Social Interaction?” The lecture, held in Washington, D.C. on Thursday, October 11 at 5 p.m., is sponsored by the National Academy of Science’s Division of Behavioral and Social Sciences and Education and Issues in Science and Technology magazine. Each year the Henry and Bryna David Endowment awards innovative research in the behavioral and social sciences by selecting a leading expert and researcher to write an article in their field to be presented at the National Academy of Sciences and published in Issues in Science and Technology. Artificial intelligence, or AI, has implications for almost every aspect of our lives.The fears that it has evoked, however, sometimes seem to outweigh the possibilities, and fears about the future of work and the future of social interaction seem to weigh most heavily upon us. 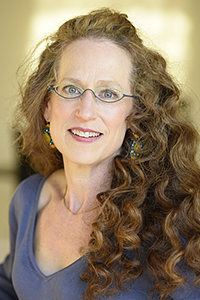 In her talk, Cassell will describe some unexpected results about the ways in which social interaction supports and improves task performance in people, and how social interaction can profitably be integrated into AI, with implications for the future—the future of AI, the future of work, and the future of social interaction. Cassell, associate dean of technology strategy and impact in the School of Computer Science at Carnegie Mellon University, is credited with developing the embodied conversational agent, a virtual human capable of interacting with humans using both language and nonverbal behavior. She is director emerita of the Human Computer Interaction Institute and co-directs the Yahoo-CMU InMind partnership on the future of personal assistants. Previously Cassell was faculty at Northwestern University where she founded the Technology and Social Behavior Doctoral Program and Research Center. Before that she was a tenured professor at the MIT Media Lab. The lecture takes place in Room 100 of the National Academy’s Keck Center, 500 5th Street, NW in Washington. Although free, space is limited and preregistration to attend the lecture is recommended. Click here to register. If there is an event or ‘call for submission’ that you want promoted on Social Science Space, that fits the theme of “S3”, we encourage you to send an email to Philip.patino@sagepub.com so that we can place it on our events calendar.